MSNBC's Lawrence O'Donnell is staring at me with the uncontrolled intensity usually reserved for serial killers and time-share salesmen. "We know how to get the country back to work. The government needs to lead the way." He folds a napkin in what looks like some expensive oyster bar, but is probably just a television studio backdrop. "The government has to get us back to work." O'Donnell already has a job. His job is to yell angry things on MSNBC. Most of his listeners also have jobs or at least they have parents. MSNBC is not a news network for the unemployed. It is a news network for aging liberals still addicted to listening to angry liberals yell about George W Bush. On the television, O'Donnell, doing his best imitation of a strangler, wrings his hands and leans into the camera. Lean Forward, the ad, sandwiched between a drug ad that features smiling families at a picnic while the announcer soothingly tells you all the ways it can kill you and that multiracial Cheerios ad that General Mills hopes to use convince a new generation of consumers that racial progress is more important than good taste, tells me. The ads are more soothing than the angry MSNBC segments that they bookend. And soothing is code for upscale. Even Lawrence O'Donnell angrily leaning forward in his imaginary upscale oyster bar where there are no other people smells of that same soothing patina of a moneyed world where nothing can go wrong except minor servant problems. Strip down MSNBC to its skivvies and you find an angry NPR. It's as if all the NPR people have given up speaking in their supercilious voices and after a few drinks at a cocktail party began holding forth on everything wrong with the canapés. 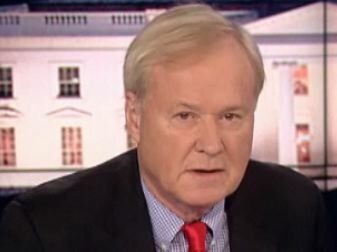 MSNBC is chock full of anger, but like Lawrence O'Donnell choking down his fury in an imaginary oyster bar over the inability of some people to understand that the government has to get us back to work in the fifth year of a liberal administration that promised to do just that, it's an anger that makes no sense. Liberals like to mock conservatives as a bunch of angry white men, but there are more angry white men yelling at the camera in two hours of MSNBC than in two days of FOX News. It's not the kind of yelling that unemployed men do when they get a call from the bank telling them that there will be no loan modification. It's the prissy raised voices you hear at Starbucks when the Chris Hayes lookalike is shocked to be told that the java isn't locally sourced and that if he doesn't like that he can take his MacBook Air and finish his Great Unamerican Novel in some other coffee shop with free Wi-Fi. MSNBCers don't quite yell. Instead they tighten up, grind their teeth and treat viewers like the waiters in their oyster bar who got their order wrong. They aren't going to yell, but they make it clear that they are furious and the only thing keeping them from turning red and breaking down in a screaming fit over nothing is that they suspect deep inside that the only response to their innermost volcanic venting will be a shrug. What angry leftists who grew up convinced of their snowflake specialness fear is that their anger will not change the world. That like a squalling infant in his third rate news network crib, no one will even care. That is liberal anger, the privileged wheeze of entitled brats who do for politics exactly what their younger counterparts do for music with Pitchfork Magazine. It's not righteous anger, but snob rage, the frustrated fury of the aesthetes of the Hill who hate what is on your iPod, your Kindle and your news feed. "Republicans," they spit with the venom of a Mohammedan rug merchant matching wits and saliva with his camel on a hot desert day. "Tea Party. Ted Cruz. John Boehner." These are the dread curses of the MSNBC set and are spoken like obscenities over an overturned car, like a starving urchin cursing the thief who stole his last loaf of bread, like a man sitting in an empty oyster bar speaking the name of the waiter who took his order an hour ago and then never came back. These are the tales of the tribe that leans forward cupping hands around the smartphones that tell them who their enemies are and how they wronged them in the days of Nixon, the great betrayal of Bush v. Gore and the latest horrible plot just uncovered by the intrepid fabricators at Media Matters. The tribe has few identities. It isn't big on religions and nations. The borders of the United States are an outdated detail to them and the only ancestry that interests them is the stark divide between white and official minority. What they have are tastes. Their tastes in music, movies, food and politics are more than interest or enjoyment... these things are their identity. The things that they love in a way that they could never love people... give them meaning. The left is a creature of trends, it pops up in trendy places as the alternative and it is always changing and spawning alternatives to itself. It is always trying to be edgy as it can before it settles down to the pudgy displays of choked down anger of the man who does not quite dare to yell at a waiter on display nightly on MSNBC. There is a lot of anger on MSNBC, but it is mostly misdirected anger. It is the anger of men who want to yell at their wives and sons but instead gibber at viewers in empty oyster bars that are as fake as their economics. It is the petty anger of men who have put so much of themselves into their hobbies because their shallow egotism permits them no more human a connection and tolerates not even the slightest slights against the objects of their impeccable tastes. It is the anger of an old elite that has become foolish and deranged and does not really know why it is angry anymore... except perhaps because it is dying. Liberalism in those northeastern circles used to be a matter of good taste. There is nothing good about it anymore. It has become a suicide pact for angry lonely men who wait in imaginary oyster bars for a waiter who will never come, for an Age of Aquarius that will never be born and a transcendence of government that will never arrive no matter how they twist their hands, tug at their red napkins and lean forward. Liberalism has become sick with its own disease. It is as dogma-ridden as any Red drinking sour beer in 1920s Chicago. It has nothing to offer to anyone except the ideological denunciation of thought crimes and the attendant superiority of being on the right side of the guillotine. And it has the misplaced self-righteousness of those who are busy pretending that they are angry about what is being done to other people, rather than their own egotistical anger with which they confront their sense of futility. Liberalism, like all trends, seeks novelty, it burns brightest among the young, it plots to escape from history through the engine of progress only to discover that the mortality that is the greatest fear of the intellectual mayfly outlives the schemes of men. The left personifies vanity. Its activists and advocates envision an escape from time only to drown it. Anger is their engine of change, but their anger makes only a little light and a little heat before it burns out leaving them alone in a cold dark oyster bar with history behind them, leaning forward into oblivion. Theirs is the world where the evil "repugs" aka "rethugs" aka "baggers" just don't understand a number of things. Like that Obama is a great compromiser who has tried so hard to find common ground with the Republicans only to be rejected in the most humiliating manner. Or that demography is destiny and when the angry white men finally die out the triumphant ascendant coalition will rule over a just and fair country. Or that cutting any government spending anywhere will condemn heroic single mothers and undocumented democrats to immediate starvation. I haven't listened to Lawrence O'Donnell in a couple of years, but last time I did he struck me as a man that didn't believe what he was saying. He had this grin that seemed to say "I know I'm spouting BS, you my liberal friend may or may not know but if you do you know it's for the common good, and you the occasional rethug you better believe the absolute truth that the gods of NBC have entrusted me to deliver to mere mortals." Ever since the government mandated digital broadcasting, I'm fortunate that I can no longer pick up broadcast TV because the analogue-to-digital converter of mine doesn't work except when the atmosphere cooperates. Which isn't often. 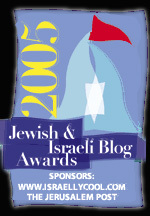 I don’t miss the smug, holier-than-thou pronouncements of the likes of Lawrence O'Donnell, Brian Williams, et al. or of Matt Lauer reading his teleprompter news written by a Leftie news-writing team. NPR is definitely the government's Goebbels-like opinion-disseminator and it's a laugh. And, yes, all those angry liberals are aging dinosaurs slicked-up by the make-up artists to look years younger than they are. 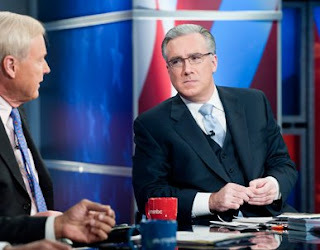 Then there are the foaming-at-the-mouth retarded buffoons like Chris Matthews and Ed Schultz. I get most of my news now on the Internet, and I am spared the "entertainment." The only curiosity on NPR is Charles Krauthammer. He has half a brain and I have no idea why he deigns to sit at a roundtable with educated and "informed" ignoramuses. This is the best description of these people I have ever read. Thank you. nazism, and communism, and free humanity from these monstrosities. They are ashamed of being white men...and they should be. Very good again. You could be describing our own wretched BBC and it's minions. "Liberalism, like all trends, seeks novelty..."
The pleasure of novelty is by its very nature more subject than any other to the law of diminishing returns. And continued novelty costs money, so that the desire for it spells avarice or unhappiness or both. I'll bet that when you decided to become a journalist you didn't know it came with a jail sentence requiring you to follow the liberal media. The rules of war dictate we know our enemy; it's just that it's so distasteful wallowing in the snake pit of Liberal thought I can't get myself to do it. If I thought for one minute greater understanding would help change a few liberal hearts and minds that would be a different story, but their hearts are closed to the idea they might actually be in error, and the Age of Aquarius is still on the horizon if only the government will fix things. No amount of self-inflicted torture watching those undead on Television is going to fix this. So thanks for taking the bullet. A lovable article, defining them as they know they are. 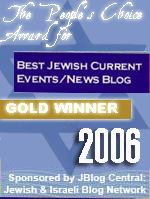 Off subject: Why did the keepers of the teleprompter let the fool anger the Christians of Belfast? He's sees no threat or evil in the Mosques, but fears Catholic teaching in their schools in the UK? A Liberal this morning said I was one the 47% in this country depending on handouts because I'm a disabled veteran. I told him I would trade my combat along with my disability if he would have had enough guts to take my place back then. Being compared to some shiftless scumbag who never worked makes me dislike Liberals even more. Perfect descript/pix of old dead Lawrence and ilk. Watching liberal talking-heads like Lawrence O'Donnell or Chris Matthews reminds me of nothing so much as Orwell's "Two-Minutes Hate", except that it's 30 minutes or an hour long. You are very close to being a truly great writer! If you can stand reading unsaked for advice, I'm here to tell you that you need to tidy up your sentence progressions. I'm not an expert, but I do write for a living, and am forever trying to construct elegant phrases which convey complex ideas. (Original) - The left is a creature of trends, it pops up in trendy places as the alternative and it is always changing and spawning alternatives to itself. It is always trying to be edgy as it can before it settles down to the pudgy displays of choked down anger of the man who does not quite dare to yell at a waiter on display nightly on MSNBC. (Edited) - The left is a creature of trends; it pops up in trendy places as the alternative and is always changing and spawning alternatives to itself. It is always trying to be as edgy as it can before it settles down to the pudgy, choked down anger of the man who does not quite dare to yell at a waiter that is displayed nightly on MSNBC. I'm not arguing for which paragraph packs more in or has better turns to the phrases - I'm just advocating for clauses that point in the same logical direction and don't force the reader to stop and sort out subjects and objects. 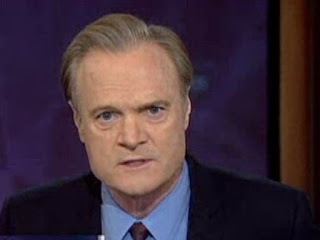 O'Donnell is angry since he got old and lost his looks. That's all. Why did they use an oyster bar? Those places are always cheap, never expensive. They have those check tablecloths or diner like bars to sit at. Must have been some ugly set. Deep down I think Liberal-Left anger burns most severely because of a hatred of reality. The reality that anything good, a job, a career, a satisfying life, requires hard work. Before the government can 'lead the way', someone must work for a living to earn the money that government grabs at gun point to fund its 'generosity'. And to think, this is how they are when they win. Imagine if we still have elections in 2016 and they lose? "Strip down MSNBC to its skivvies and you find an angry NPR." Perfect, Daniel. But I'm guessing they're boxer short guys. it should be allowed. Probably somewhere in the Koran it said so. Slightly off topic... I was listening to NPR talk about the American soldier who is a POW in Afghanistan. His father (from Idaho) was speaking Pushtan begging for his son's release. The NPR host and interviewee were bubbling about how wonderful it was that the father was "immersing himself in Push tan culture." Frankly, I think the liberal victory is complete. All Liberals are angry. I think they were all dropped on their heads as babies. I grew up in a wonderful America, and it was pretty much the same over except for Liberals always causing trouble. My advice:L LIGHTEN UP!